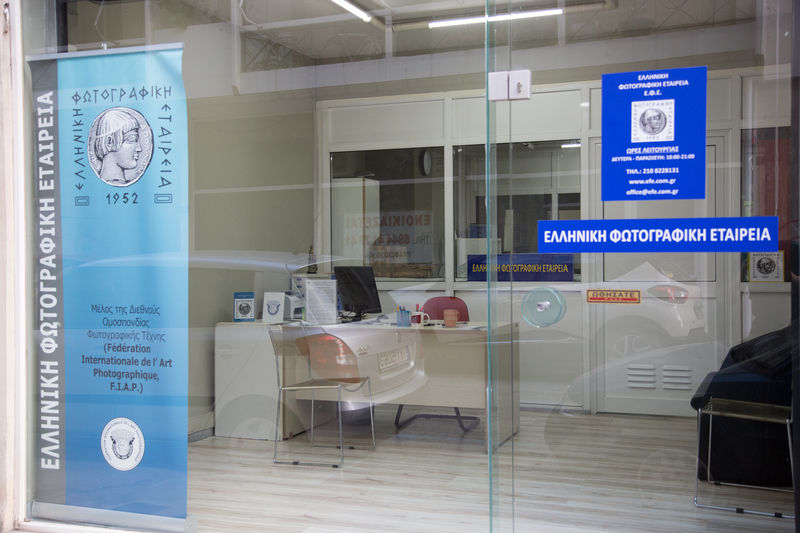 The Hellenic Photographic Society has a remarkable Exhibition Hall since last year, and covers all the necessary requirements for appropriate photographic exhibitions. 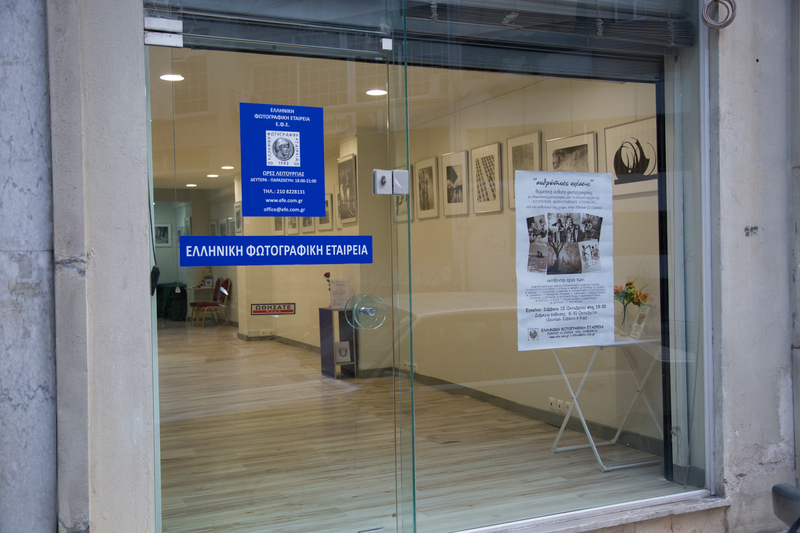 The Exhibition Hall and all the rest facilities of the Hellenic Photographic Society are now at Pontou 12 str., Ilisia, near the center of Athens; the location is well known and the access is easy for all, because it is located only 250 meters from the “Megaro Mousikis” Underground Station. 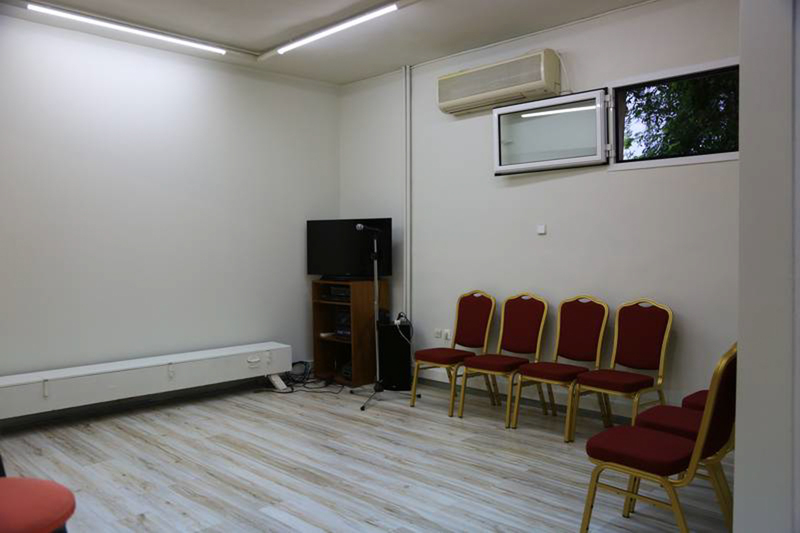 The Exhibition Hall is a ground floor independent room, but it has direct connection with the Lecture Hall and the rest spaces of the Hellenic Photographic Society. 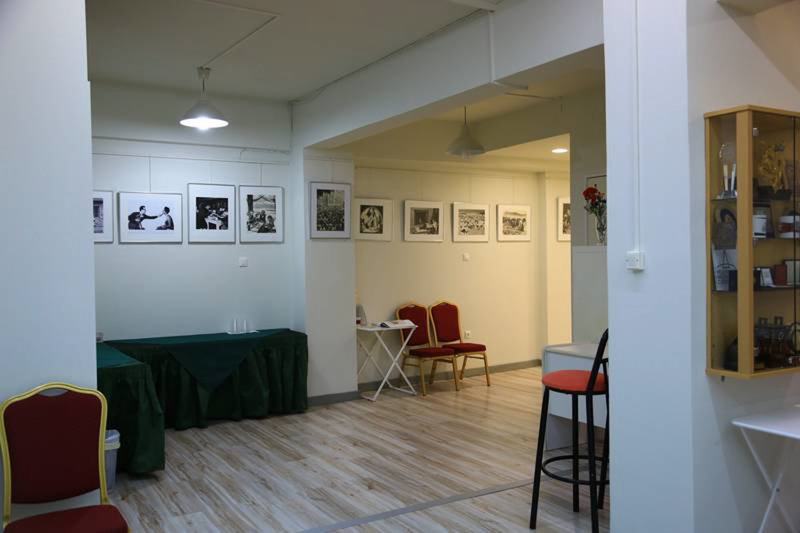 It covers about 84 square meters and its 35 meters of walls are available for exhibiting photographs. The Exhibition Hall’s capacity is over 50 frames sized 55cm X 45 cm. Regarding the equipment of the Exhibition Hall, the twenty six 24-watt lamps are hidden and ensure a rich 4000 Kelvin diffusible light; in combination with the non-reflective frames’ fluorinated glasses, it offers a pleasant view of the photographic works. 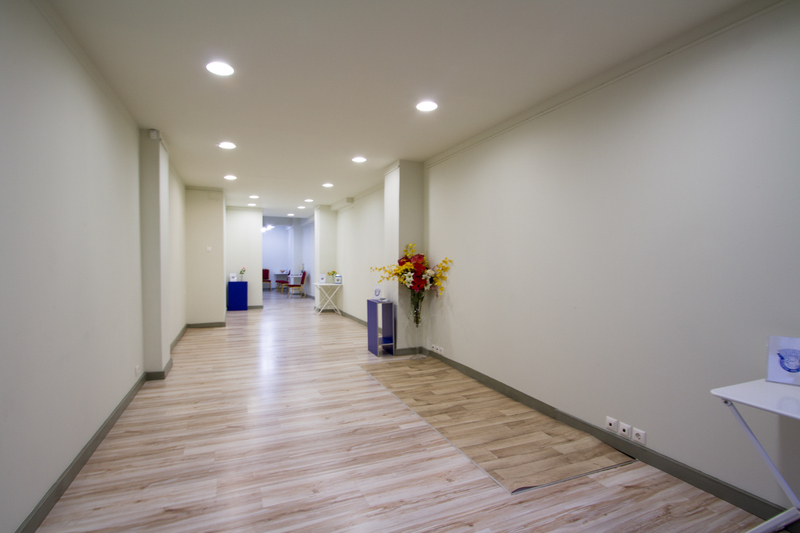 The Hall can accommodate spaciously fifty frames 55cm X 45cm and it has hosted up to sixty eight. The total equipment consists of 85 frames with dimensions 55cm X 45cm and 25 frames with dimensions 70cm X 50cm. There are permanent aluminum channels and the frames are hanged up with medal plates or thin chains. The same equipment is proper for hanging photographs in Kapa Fix, as well. The Exhibition Hall ends to the Lecture Hall and is suitable for audience gathering, in cases of Opening Ceremonies, lectures, speeches and presentations. A Bar is also located at the side of the same space and assists for the visitor’s pleasant stay. There is also additional space for the visitors, just outside of the Exhibition Hall’s entrance, suitable as smoking area. 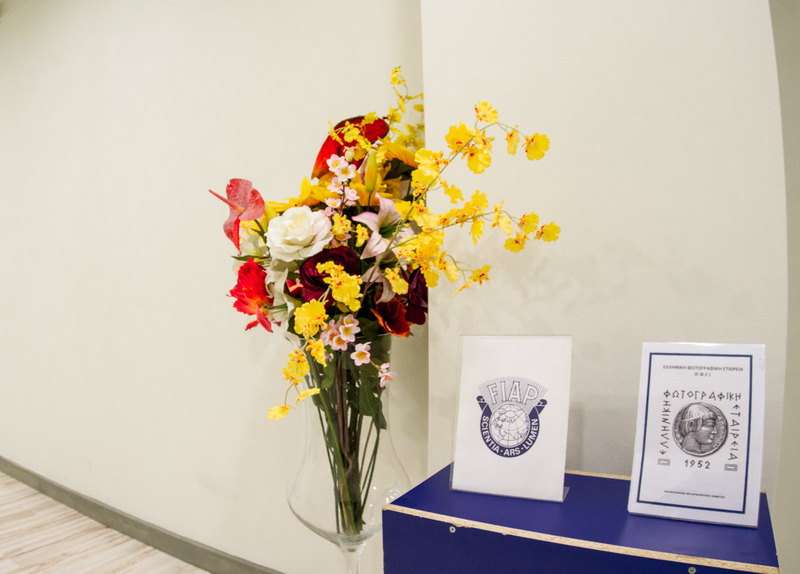 The Exhibition Hall can accommodate more than 100-150 visitors, including the Lecture Hall and the Bar. 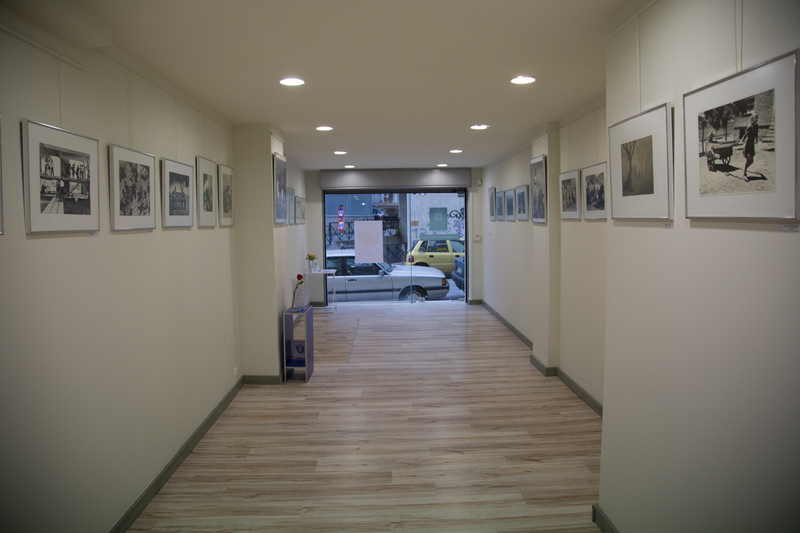 During the last period, from October 2016 until June 2017, our Exhibition Hall had successfully hosted twenty one Photographic Exhibitions; out of these, six were from individual photographers, eight were group exhibitions, five were hosts from other Photo Clubs from Greece and two from foreign Photo Clubs based in our exhibitions’ exchanges program. We had important visitors from people of the arts and culture in general, politicians and Ambassadors from two countries.